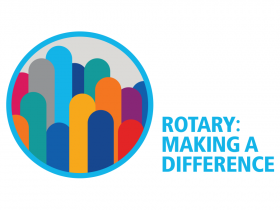 Welcome to the online home of the Rotary Club of Cedar Rapids West! African American Museum of IA, in the Newbo district. Our club has tremendous fellowship and our core mission is to serve education. young people up to age 18). Our meetings consist of a bit of club business then a single program that teaches us all something about Cedar Rapids we may not have known. It could be a musical performance, a little education on a non profit or just an informational topic. I assure you each meeting you attend will be worth your time and you will meet some tremendous people. We recognize outstanding public servants and teachers from each of the metro area high schools with our Service Above Self awards. I invite you to explore our website and get to know more about our club and our service projects. We hope you will come visit us at noon on Wednesday at the African American Museum of IA!